With a stay at Reconquista Plaza in Buenos Aires (El Centro), you'll be minutes from Galerias Pacifico and Borges Cultural Center. 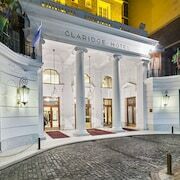 This hotel is close to Casa Rosada and Plaza de Mayo. Make yourself at home in one of the 58 air-conditioned rooms featuring minibars. 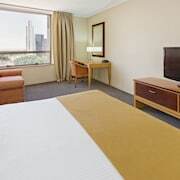 Complimentary wired and wireless Internet access keeps you connected, and cable programming provides entertainment. Bathrooms have shower/tub combinations and complimentary toiletries. Conveniences include desks, and housekeeping is provided daily.